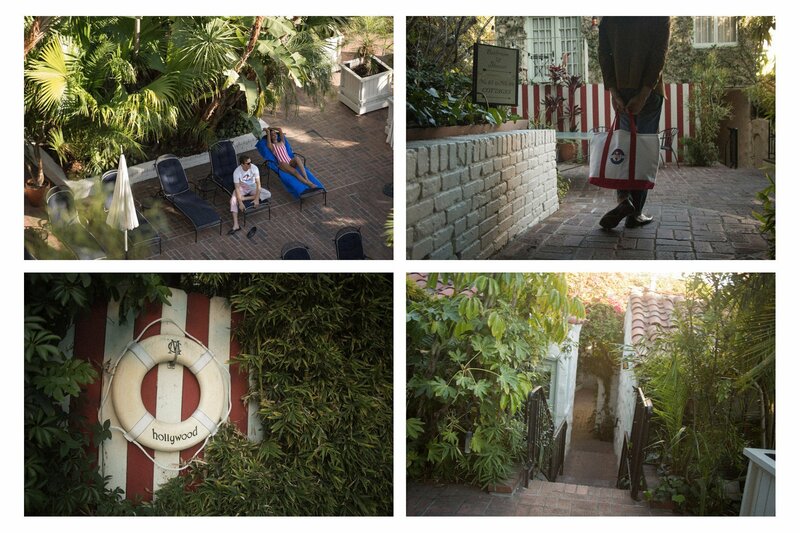 Shot Location: The Chateau Marmont. 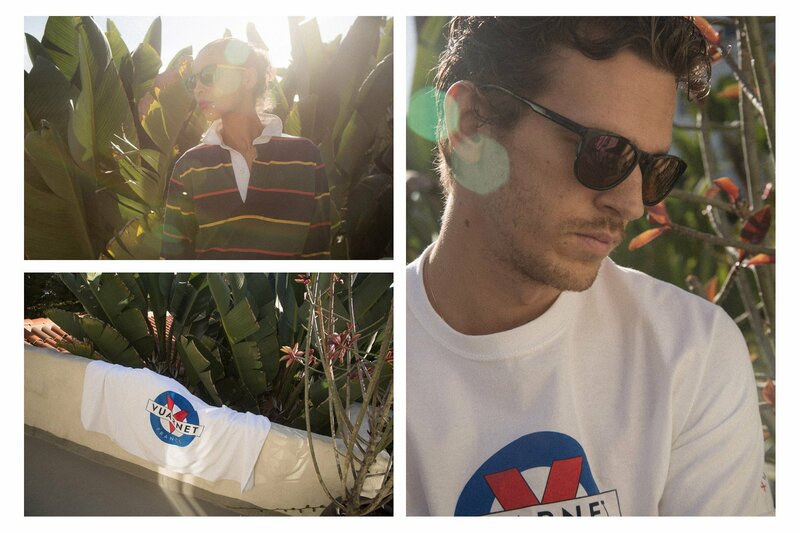 The sunglasses, whose frames match the colour of the mineral glass lenses, are made in France by Vuarnet. The hoodies, T-shirts, caps and tote bags are made in the USA. 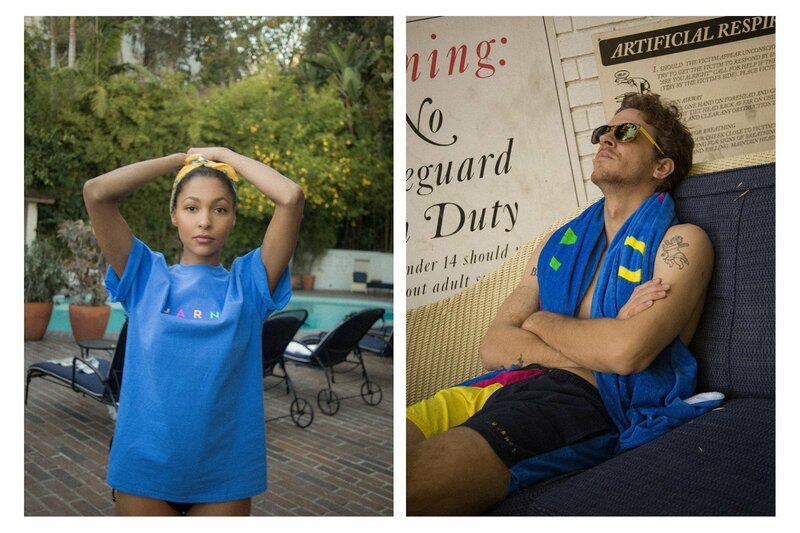 The brightly coloured swimwear is produced in Italy, and the bath towel in India by a partner that recycles water and makes a contribution to its employees’ education. More about the collection here. Noah is a brand that should be on your radar, for a few different reasons including the product and the brand ethos itself. Out of NYC, Noah was birthed by Brendon Babenzien (previously the Creative Director of Supreme) with the intention to create a responsible brand and build a better business. They’re not super surf but they do enjoy the beach lifestyle, although that $400 dollar wetsuit vest has me scratching my head. Bottom line is, you should read more about Noah – start here.